Michael serves as the Revenue Assurance and Fraud Manager at MTN Cyprus. He is also an active supporter of the Risk & Assurance Group and a regular contributor to Commsrisk, where he shares reviews of online education courses. As a keen advocate for online learning, Michael is a special advisor to RAG, guiding us through the development of RAG Learning, our web-based education program. Michael serves as the coordinator of RAG Learning on a voluntary basis. Prior to joining MTN Cyprus in 2011, Michael worked as a skilled programmer for ByteCrafts, Inteliscape and Nielsen. 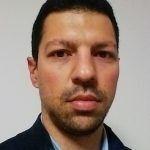 He has an MBA from the Cyprus International Institute of Management and was awarded a Fulbright Scholarship to attend Ohio Wesleyan University, where he received a double major in Computer Science and Economics.